How will Daenerys Targaryen's visions in the House of the Undying translate into the conclusion of Game of Thrones season 8? 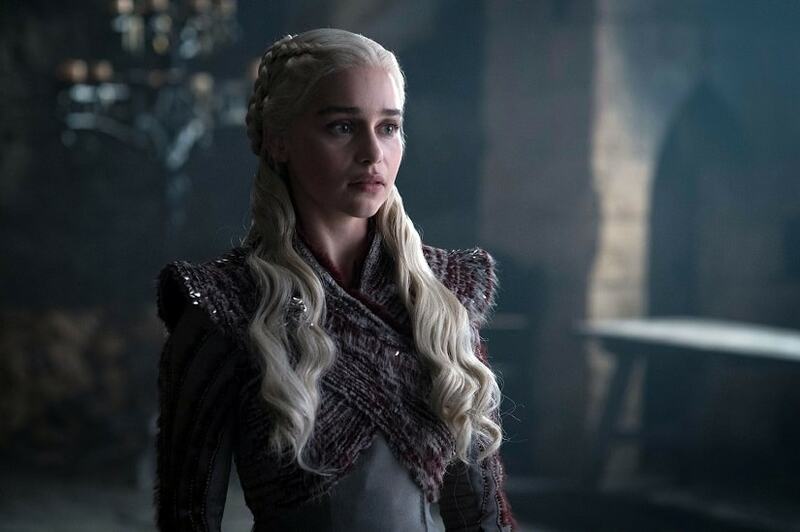 As we draw closer to the ending of the pop culture behemoth that has been HBO's fantasy epic TV series, speculation over who will still be standing at the end of the tale has ratcheted up in intensity. 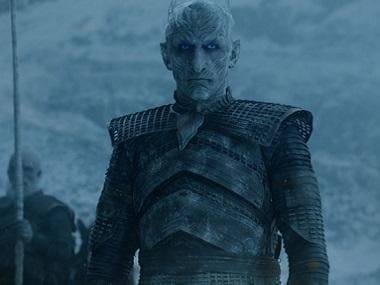 Answers can be difficult to come by, although it is our firm belief that the showrunners David Weiss and DB Benioff inserted plenty of clues — hidden in plain sight — in the episodes that aired earlier. For instance, we're fairly certain that there will be some mirroring between our favourite characters’ ultimate fates and what we saw them doing in the very first episode of season 1 of Game of Thrones. Game of Thrones season 8: Tyrion's death to Sansa being queen, did episode 1 have all the answers? Of course, not all clues are hidden. 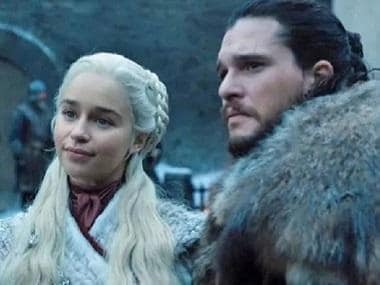 For instance, fans of both George RR Martin's A Song of Ice and Fire books and the Game of Thrones television show have long known that the visions Daenerys Targaryen sees in the House of the Undying foretell the future to a certain extent. What is actually being foretold is, well, difficult to foretell — mainly because Daenerys’ visions are described differently in A Clash of Kings (book two of ASOIAF) and ‘Valar Morghulis’ (Season 2, Episode 10). For the purpose of this discussion, we'll confine ourselves to the visions as seen in ‘Valar Morghulis’. As Daenerys wanders from room to room in quest of her missing dragons, she comes across three tableaus: first, the throne room of the Red Keep — albeit a sadly devastated one. Gone is its grandeur, the roof has caved in, the walls are broken in parts, and a flurry of snowflakes (or fine ash from dragonfire?) blankets everything. Daenerys reaches out to touch the Iron Throne but is drawn away by the faint cries of Drogon, Rhageal and Viserion. She walks on, through another open door, and this leads her to the lands beyond the Wall. She makes her way through the blinding white emptiness until she comes to a tent. Seated inside are Khal Drogo, and a baby who is presumably the son they never had — Rhaego. Even as she is overcome by emotion, Dany remembers Mirri Maz Duur's words and whispers, “Until the sun rises in the West and sets on the East”, leaving Drogo and her baby behind. There's been dissection aplenty of Daenerys’ vision, and there's reason to believe that a very literal version of these may come to pass. 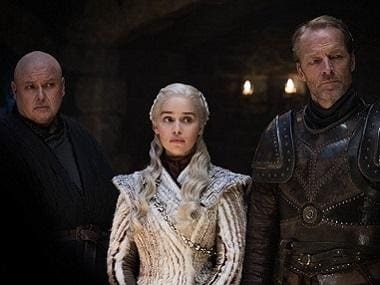 Daenerys’ visions in the House of the Undying take on an important aspect for another reason: she is among the few people in the Seven Kingdoms who seems to have the power to ‘see’ the future. Now Melisandre and Thoros too claim to see visions in their flames, thanks to R'hollor. But those visions can be (as in the case of Melisandre's support of Stannis) wrong — or incorrectly interpreted. Jojen Reed has dreams and visions of future events, so does Rickon Stark, who 'sees’ his father in the Winterfell crypts the night before news of Ned Stark's execution is received by the family. Rickon also seemingly predicts that Robb will never return home, the day the 'Young Wolf' leaves for his campaign against the Lannisters. Rickon dies too soon for anything to be gauged about his abilities. Then there is Bran Stark, who dreams repeatedly of a three-eyed raven, before discovering his ability to warg. As the Three-Eyed Raven, Bran's vision encompasses the past, present and future. In this company, Daenerys stands out: Melisandre is a priestess, Jojen has the ‘Sight’ and even suffers seizures as a consequence, Bran is the Three-Eyed Raven. Daenerys is — her status as Mother of Dragons, Khaleesi etc notwithstanding — a 'regular' person. This is where we cast our eyes back over her ancestors, with whom Daenerys has much in common — beyond the bond she shares with her dragons. Other Targaryens before Daenerys have had the ability to dream of/see the future. For instance, the Targaryens escape the Doom of Valyria because Daenys — the maiden daughter of a Valyrian lord called Aenar Targaryen — dreams of it, 12 years before the event takes place. Aenar moves his family and dragons to the island of Dragonstone, and is the subject of much ridicule because of his decision. When Valyria is destroyed, the Targaryens — who were a minor family at best in the freehold — become the sole surviving dragonlords in the Known World. Aenar's daughter is known as Daenys the Dreamer ever since. A vision of a less useful sort appears to King Baelor I Targaryen, also known as Baelor the Blessed, who sees the High Sept of King's Landing in a dream and orders its construction (the very same one that Cersei blows up with wildfire, along with the Tyrells and the High Sparrow in it). He also believes the gods want him to appoint a stonemason named Pate as the next High Septon, followed by an eight-year-old street-child, so whether Baelor's visions are real or the product of lightheadedness (the King frequently fasts for extended periods of time) remains unclear. Yet another Targaryen who dreams of the future is Prince Daeron, the son of Maekar Targaryen. (He is the older brother of Aegon V, and the Castle Black's Maester Aemon.) Daeron dreams of the death of his uncle, Baelor Breakspear, describing a great dragon that would fall on the hedge knight known as Ser Duncan the Tall (later, Lord Commander of the Kingsguard). Baelor dies at the hands of his own brother Maekar (Daeron's father), due to an accidental blow, while fighting by Ser Duncan's side. The Targaryen sight sometimes appears even in those who do not carry the family name — Daemon II Blackfyre (son of Daemon I, the illegitimate child of the cousins Daena and Aegon IV Targaryen) has startlingly accurate dreams about the deaths of his own older brothers. His brothers — the twins Aegon and Aemon Blackfyre — are killed on the battlefield, under a shower of arrows loosed by their father's half-brother, Lord Brynden Ryvers (known as the Bloodraven). On that same occasion, Daemon II also tells Ser Duncan that he saw a dragon's egg hatching at the place where they are staying (Whitehalls, the castle of Lord Ambrose Butterwell). Daemon II believes his dream to mean that the dragon egg owned by Ser Ambrose (it is gifted to his grandfather by King Aegon IV) will hatch, but the egg itself goes missing. Other dragon dreams follow, both before and after the birth of Drogon, Rhaegal and Viserion. All of which means that the complete destruction of King's Landing, and of the Iron Throne — the ultimate symbol of power in Westeros — is imminent. What remains to be seen is whether or not it can be rebuilt. Suggested read — Game of Thrones season 8: Will Daenerys Targaryen's dragons fly again after the end of the Long Night?